Vibes, a mobile marketing leader, announced Conversational Analytics, the industry's first Natural Language Processing (NLP) solution. Great guest post by Rebecca Lieb all media, all the time | analyst, author, speaker & strategic advisor on digital advertising, media & *content* for Irish Tech News. 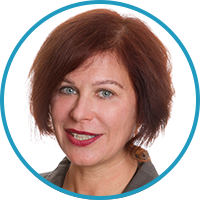 There are six business cases for real-time marketing, planned and unplanned, reactive and proactive, writes Rebecca Lieb of Altimeter Group. Google's search dynasty could be put to the test should Apple select another search provider for its coveted Safari audience....GOOG. From a conference, to an awards show, to an unexpected news event, here are 7 ways to make your Twitter presence count. *Content* marketing is increasingly dominant as the walls between paid, earned and owned media come down. In its ongoing crusade to rid its platform of bad actors, Twitter faces a cold reality: Its stock may take lumps as part of the cleanup. Shares fell 19% Friday. What's the point of churning out killer *content* if no one can ever find it? Columnist Rebecca Lieb explains why SEO and good *content* go hand in hand.